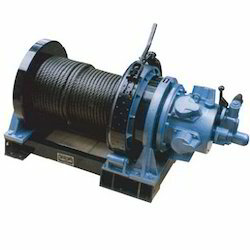 We are instrumental in providing to our valuable customers excellent quality of Air Winches. For manufacturing of these products, our trusted vendors make use of optimum quality raw material that ensures the quality of the end range. In order to ensure defect free products, our complete assortment are strictly tested by our quality controllers. Being a customer oriented organization, we are deeply engaged in offering a wide array of Air Winch (12V DC Air Advertising Balloon Winch). 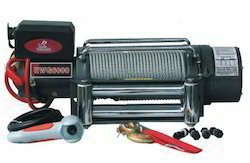 With an objective to fulfill the demands of our clients, we are engaged in manufacturing a wide array of Air Winch. - Body is made of steel. - Gear is made of alloy steel duly heat treated. - Shafts rotates on thrust bearing/gun metal bush. Foundation Bolts Size: M22 x 100 mm with hex nuts & Spring Washers - 8 nos. each. We provide Quality which helps you to step ahead.